Initial investment cost may prove a serious deterrent for many home improvement projects, so you can breathe a sigh of relief if you decide on epoxy flooring. As far as price is concerned, this type of floor belongs to the most affordable options. Even if you decide on elaborate design with extra bells and whistles like staining, scoring or intricate design, the whole undertaking may still turn out substantially cheaper than its alternatives. For many people money is enough an argument to convince them to choose epoxy flooring and they won’t need any additional benefits. Of course, finances are important but if you’re anything like me, you’ll expect something more from any given solution than just its mere affordability. Fortunately, epoxy flooring offers exactly that. For one thing, it’s very versatile and can be installed virtually in every type of environment both indoors and outdoors. Many flooring materials look great but don’t fare well under extreme conditions. That’s definitely not the case with epoxy flooring, which can withstand plenty of use and abuse, as it’s resistant to a host of chemicals starting from ‘mere’ cleansers, through bleaches to oils and gasoline. You probably already know where that leads. Those qualities paired with ease of maintenance make epoxy floors superb choice for every interior but particularly garages and basements where you always have to be ready for spills and rough treatment. Quite an endorsement for any DIY enthusiast and would-be mechanic. 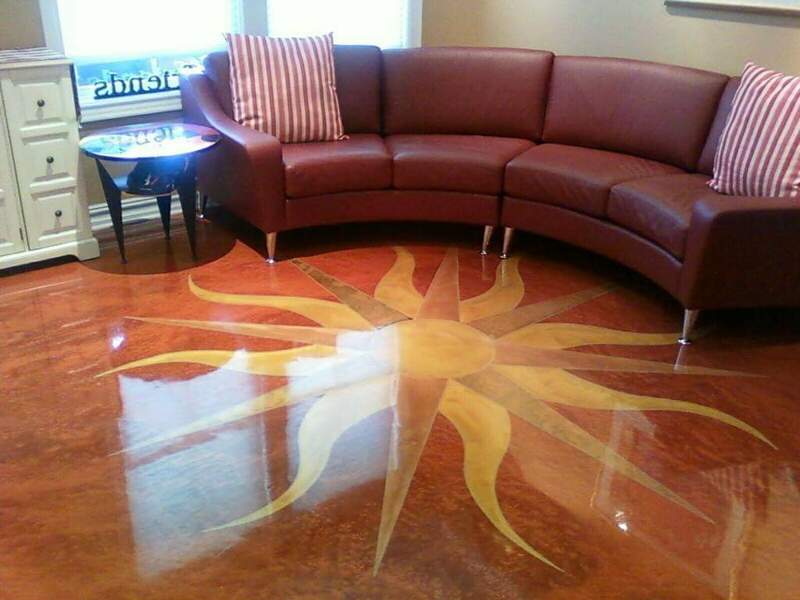 However, these characteristics don’t exhaust all of the benefits of epoxy flooring. For many people esthetic aspects are no less important than mundane practicalities but fortunately, with epoxy there is also a place of that. Witch wide choice of colors and styles such type of flooring doesn’t have to be relegated to secluded garages but can make elegant addition to any home interior or in office. nextAre polished concrete floors expensive?